We are thankful to work with Regions Bank and love how they make banking easier and more convenient! Regions Bank is changing the face of banking in Texas. 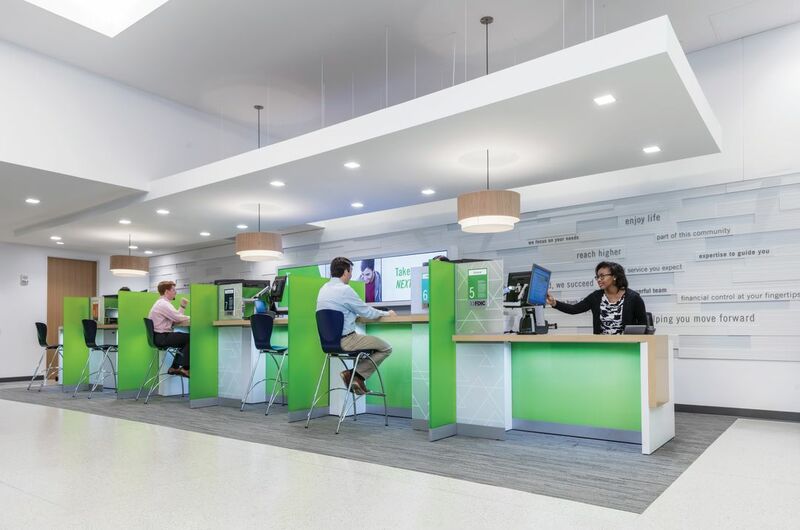 With five branches opening in the Houston area this year, the bank is launching a model that blends a modern look and advanced technology with its signature, personal customer service. The result is innovative new locations geared to moving at the speed you want, whether you’re a busy parent and family or a bustling business of any size. The cornerstones of each bank branch are the highly qualified Regions bankers. At most banks, you’ll wait in a teller line and take care of common transactions at the window. Anything beyond the norm may require waiting to meet with a banker behind a desk. With Regions, there’s no wait to speak to an experienced Regions banker because each employee you encounter is one. Regions bankers receive comprehensive training in the full array of services offered. They are equipped to handle everyday tasks from cashing checks, accepting deposits and opening accounts to going the extra mile to talk about your long-term needs and start forming a plan to achieve them. In the Houston area, Regions is taking its focus on its customers – and the people who serve them – and translating it to innovative technological tools you can really use. New video banking ATMs facilitate video chats with Regions bankers via a live two-way feed. If you can’t get to the bank during normal hours of operation, this option conveniently provides the expertise of Regions banker after hours on weekdays, weekends and most holidays. Call on bankers to help process transactions, deal with account maintenance issues or shed light on any financial questions. 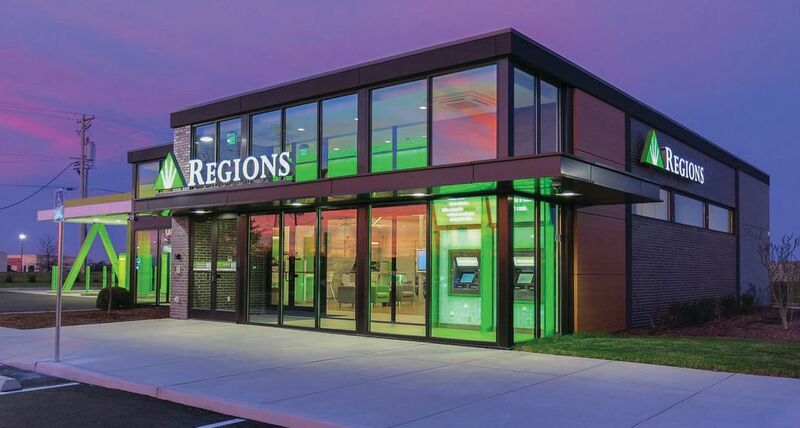 Regions is also introducing more smart technology into its branches. DepositSmart ATMs will be able to accept deposits and cash checks for customers at any time, day or night. If you use a safe deposit box, Regions offers peace of mind with added layers of security: facial recognition and fingerprint technology. The system not only enhances security surrounding the safe, but also improves efficiency of access for Regions customers. Finally, Houston-area customers will have bankers at their beck and call, thanks to Regions “Virtual Concierge” bankers. These bankers represent a highly skilled team ready and waiting to help you with any question, from anywhere, at any time. Virtual Concierge bankers can walk customers through processes like online banking transactions and remote check deposits, as well as provide guidance on short- and long-term financial planning. The Virtual Concierge bankers are ready to assist via email, chat, phone and even LinkedIn, providing greater flexibility to get your banking done in the most convenient and effective manner for you, creating a truly tailored banking experience. To explore the latest in banking technology, simply visit one of Region’s new branches in the Houston area. Branches are opening at Copperwood Village in Houston, Westpark Tollway in Katy, Rayford Crossing in Spring, Alder Trails in Cypress and Stateside in Katy. Simply visit the locator page at regions.com for addresses and directions. Whether you’re banking online, through Regions’ mobile channels, or face-to-face in the branch, Regions is committed to helping you reach your financial objectives. And, with technological innovations enhancing new locations, banking has just become simpler and easier. For more information, check out regions.com.